Happy Thursday! I hope you are having a wonderful week! The days before Christmas can be so incredibly busy and super stressful but I encourage you to take the time to just be still and enjoy it. Take 10 minutes to just sit by your tree with a cup of coffee. Read to your children about the true reason for the season. Dance to Christmas music in your pajamas. Take in all of the simple moments because those are the ones you will always remember. Today, I'm sharing my weekend style but really it's just my real style. If I don't have to dress up then I just want to be as comfortable as possible! Who else is with me?! Give me comfy, cozy, casual all day, every day. As much as I love the comfortable life, I still like to feel put together. 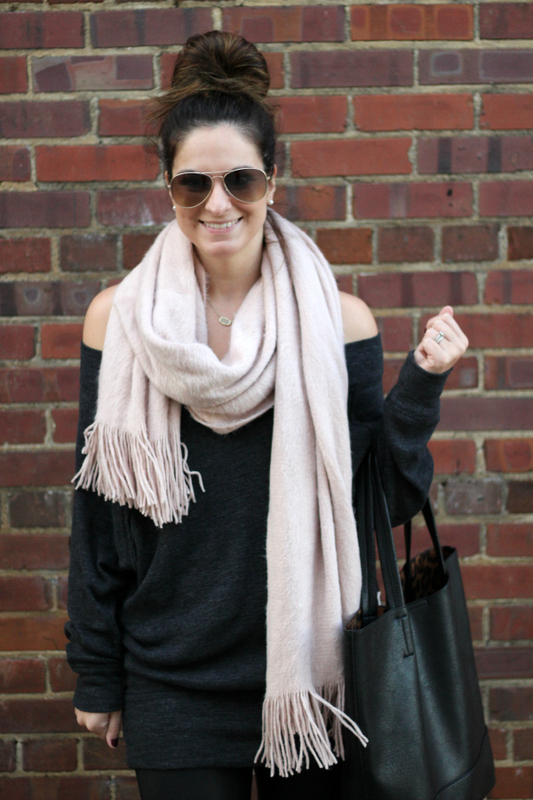 This off the shoulder sweatshirt makes a casual piece a little fancier. 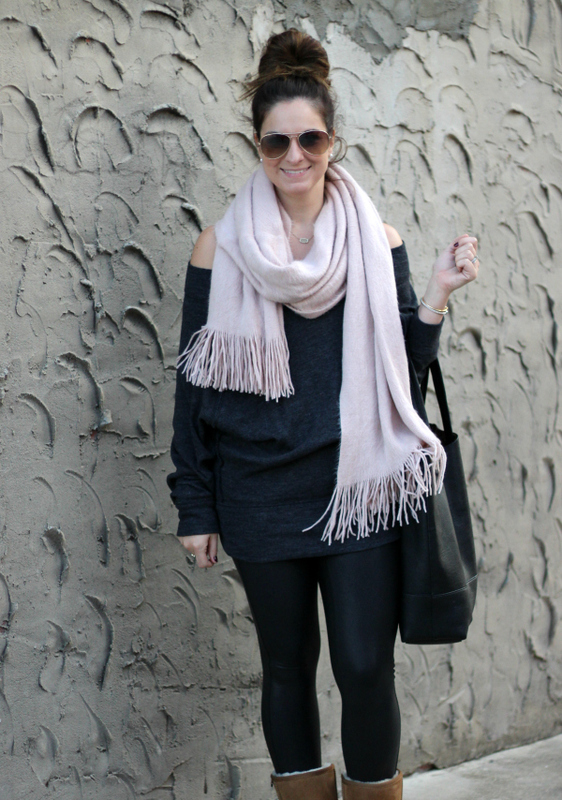 Plus these faux leather leggings are definitely a big step up from my pajama pants! I also always throw on some jewels to dress up my look. 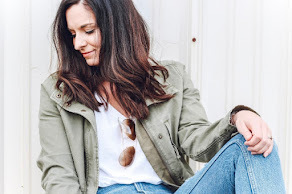 You can definitely be comfortable and put together at the same time (basically what every busy mom wants), it just takes a little bit of strategy. If you are wearing an oversized top pair it with comfortable skinny jeans or leggings to balance out the look. And my biggest trick for feeling comfortable and put together is to wear what you feel confident in! I don't go by the silly letter size that's on the tag, I go by the fit and how I feel in it! When you are comfortable in your clothes, you will feel so much more confident. I know I always do!